We know Julie Andrews loved her raindrops and roses, but we’ve got a few of our favourite things we’d like to discuss. Tassels, cocktails and inspirational advice. Sorry Maria. A weird mix, but stick with us, it will be worth the read. So, we came across this book on the wonderful world of Instagram. 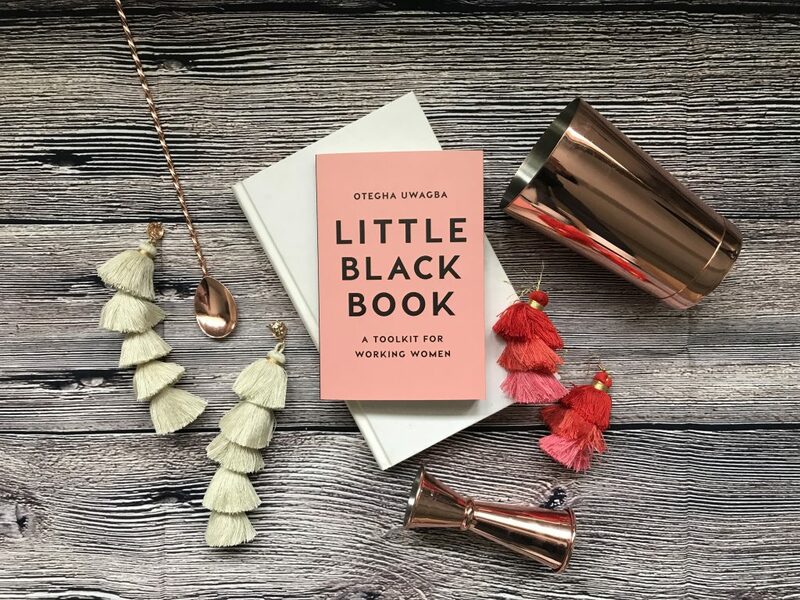 Written by Otegha Uwagba, this Little Black (Pink) Book does exactly what is says on the tin; it is a toolkit for working women, especially women in the Creative Industry. (That being said, don’t be put off if you’re a guy – after reading it, we think it would be super useful to anyone who works in the industry). Otegha has also founded Women Who, a network of creative women – she’s just amazing basically. 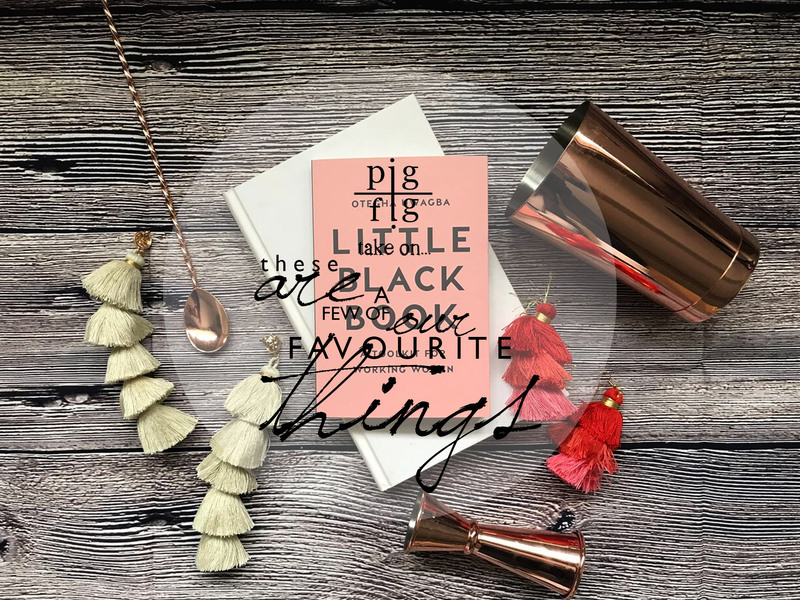 Anyway, we love a good self-help book and as a team of Wonder-Women work behind the scenes at Pig & Fig we decided to give it a whirl and see what wise advice it had to offer. It arrived the next day (Amazon – £4) and although both shorter and smaller than we first imagined, it was succinct, classy and SO so good. Not to mention, it fits perfectly in your handbag! It has brief Chapters, jam-packed with simple yet effective suggestions to boost productivity, organisation, confidence and creativity, as well as financial tips and presentation pointers. We soaked in every page and it is a book we will keep with us, skimming the pages before every important meeting, pitch, presentation, or just when we’re feeling totally uninspired (let’s be honest, we all have these days!). Now, this brings us to the tassels. A tip in the book is to dress YOU – you are the ambassador of yourself, so you should always dress to impress. Whether freelance, CEO or employee, showing your flair and style is an effortless way to express your creativity and feel amazing, something that someone (client, customer or investor) can pick up in a glance. This is crucial when making first impressions or when you want to feel your most confident self, ie. Sasha Fierce. So whether it be a shell-suit or tailored suit, wear your best self – looking good and presentable is half the job. These tassel earrings are from Betty and Biddy, beautifully crafted jewellery at super affordable prices (and free delivery!) we feel utterly marvellous swishing them around as we pace the studio. The cream tassels are totally OTT and fall to the collar bone, but we love them. No matter how busy you find yourself, don’t let real-life get in the way of having fun. Go out. Order extra chips. Say ‘yes’ to a Tequila Slammer. Try new recipes. Read a new book. Bake a cake. Buy a bunch of flowers. Have an hour-long bath. Get dressed up. Feel glamorous. Turn your Phone off after 8PM. Make time for your friends, family, loved ones. Explore outside of your comfort zone. And when life gives you lemons….MAKE A damn COCKTAIL.